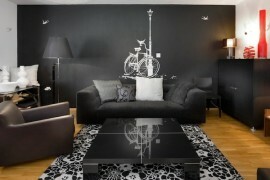 Decals have made their mark on the world of interior design, thanks to their ability to make a big statement. Add the fact that they are easily removable and fairly affordable, and their appeal is clear. Because many wall decals feature trendy designs, they can run the risk of looking outdated, especially if a style is on its way out. However, by keeping it simple and choosing classic forms, you can be sure to select a decal that will last for years rather than months. 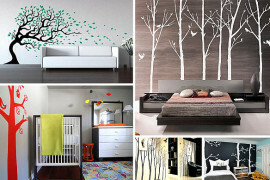 On the other hand, since wall decals can be applied and removed with ease, why not indulge your design fancy? It’s far less expensive than purchasing a large piece of wall art or investing in wallpaper that you may or may not continue to love. In other words, go for the style you are crazy about–you can always replace it if you tire of the design. 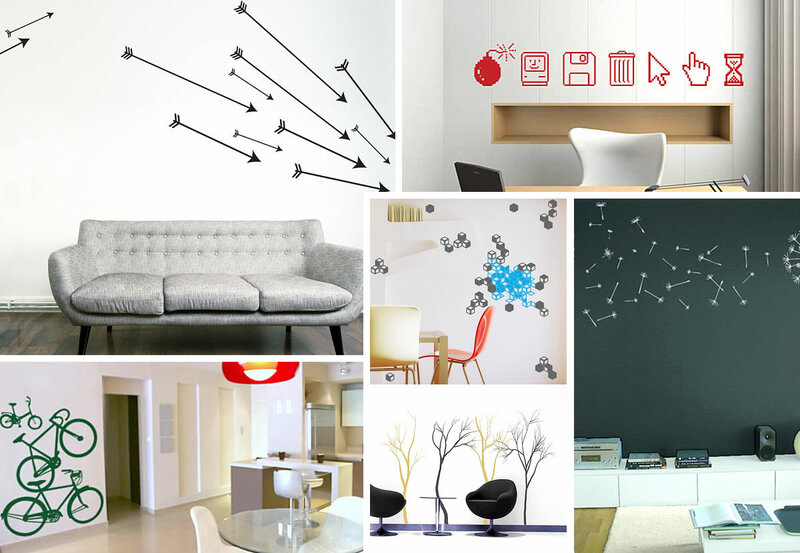 Speaking of wall art, today we feature 12 modern wall art decals that are sure to take center stage in your interior. From organic designs that celebrate the beauty of plant life to whimsical decals that play up the fun side of decor, there is a style for every preference. Not to mention, most if not all of the decals below are available in a variety of colors for your convenience. Enjoy! Many of today’s most popular decals feature plant life. 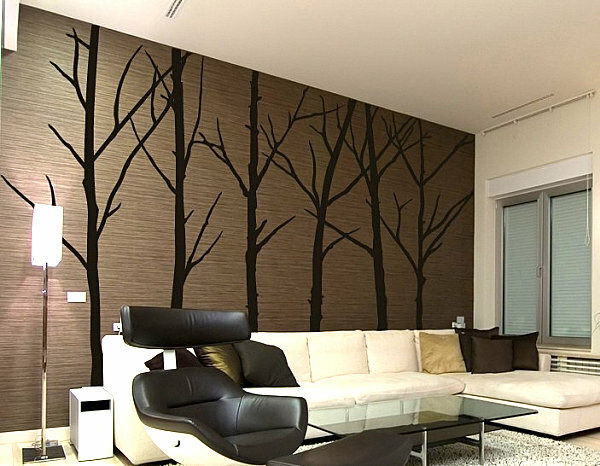 From nursery decals of blossoming trees to modern floral designs for the living room, organic forms are likely the leader in decal style. 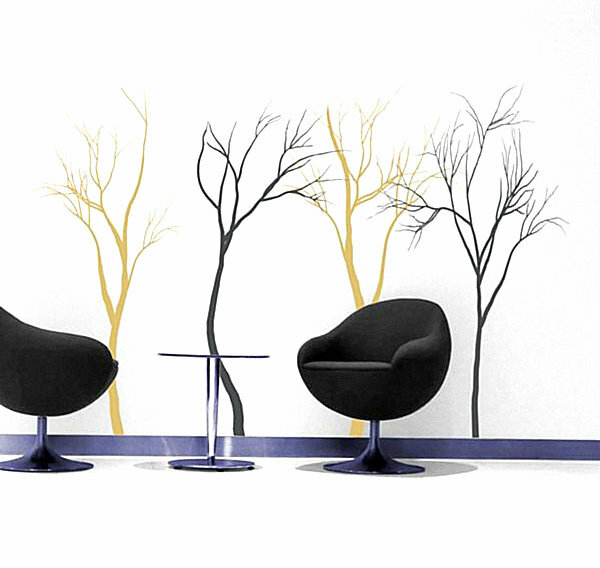 Below we see a set of 6 winter tree wall decals from Etsy shop Surface Inspired. The best part: the branches are separate so you can create your own custom design! 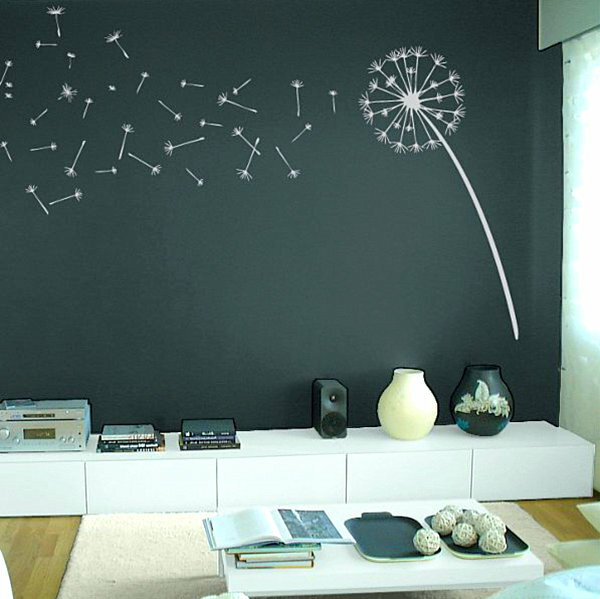 Many modern wall decals are sold under the “urban” category. 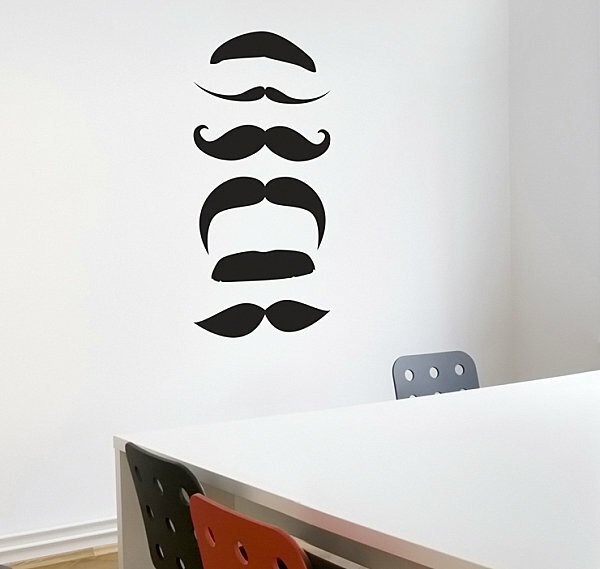 Urban decals are rich in contemporary design, and they can veer from minimalist to artistically intricate. 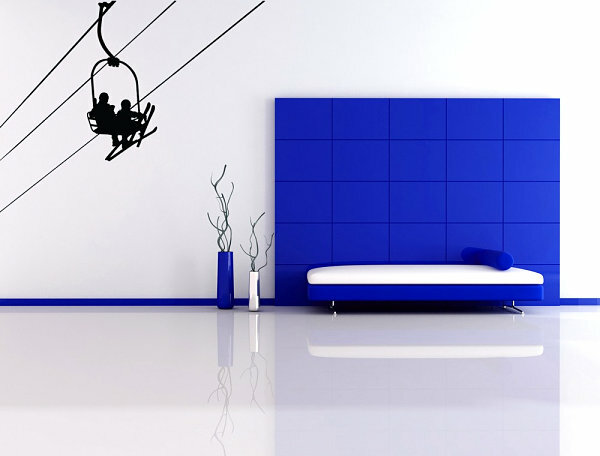 Below we see the ski lift vinyl wall art decal from Etsy shop Vinyl Wall Accents. 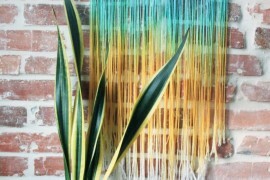 Despite the fact that it stays put on your wall, it sure conveys a lot of motion! Ready for a little geography? There’s something about a map that is academic, worldly and contemporary at the same time! The world map vinyl wall art decal from Etsy shop Pasargad will inspire you to dream of travel as it surrounds you with style. 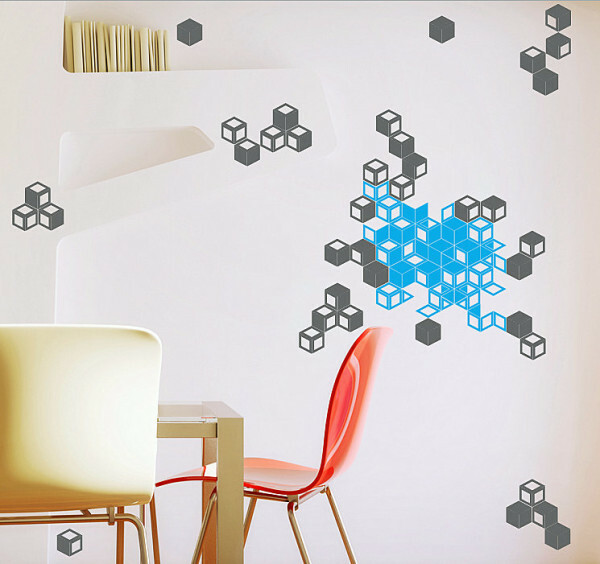 We love the way this corner 3D art decal from Etsy shop Wallums Wall Decals utilizes the corner to create a design that appears to leap from the wall. We also love the diamond forms, which evoke the magic of a modern gemstone! A minimalist, artistic gemstone, of course! Have you ever been blinded by love? 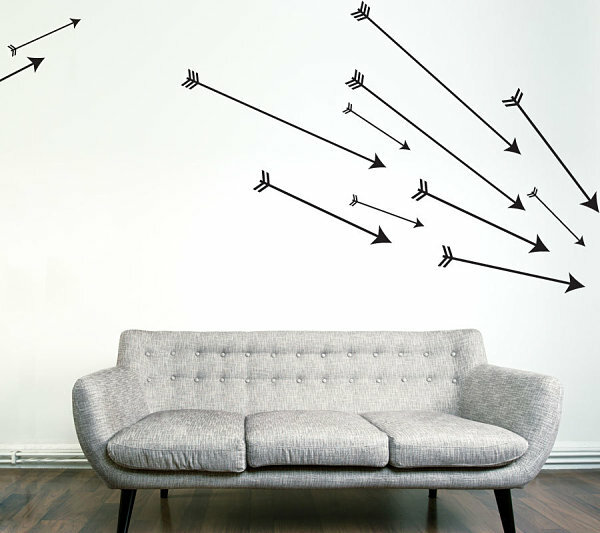 Fall in love with this set of Cupid’s arrows wall art decal from the same Etsy shop Wallums Wall Decals (link above). 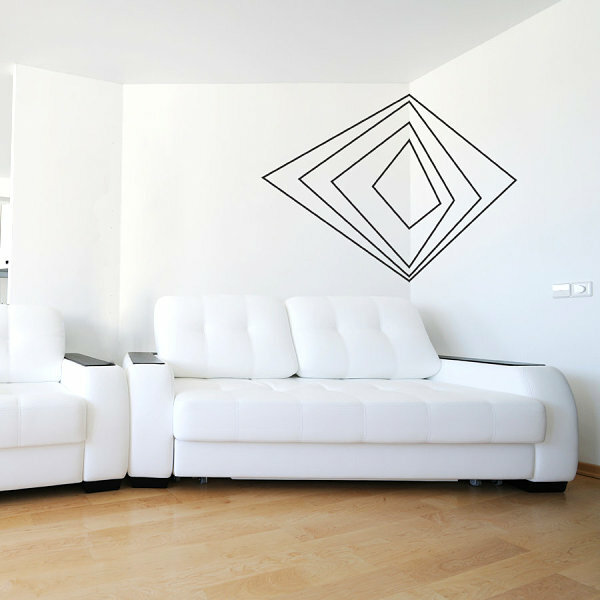 Emphasize the lines of your space as you arrange the arrows in a design that seems to fly across your wall. 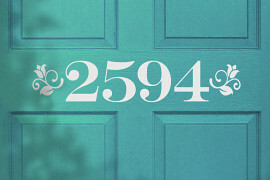 Sometimes you just want to have fun with design! 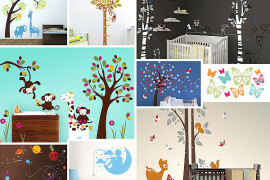 And the wall art decals below are loaded with fun! What could be more fun than a ship from your favorite childhood movie franchise? 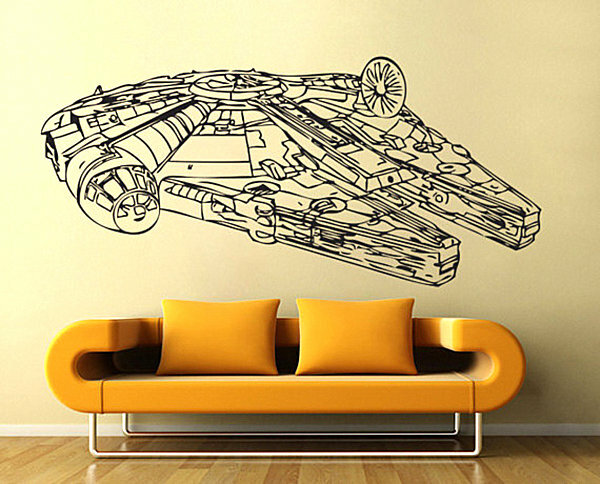 The Star Wars Lego Millennium Falcon Wall Art Decal from Etsy shop Lapoon Studio delivers style as well as a healthy dose of nostalgia. 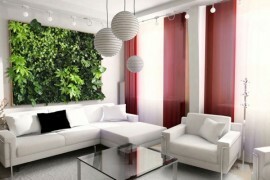 When purchasing wall art decals, consider the color of your space. If your room is a rich, deep shade, perhaps white decals will stand out the most in your interior. For a monochrome look, opt for a lighter or darker shade in the same color family (for example, burnt orange decals on a peach wall). Have fun adding color and style without the worry of permanently altering your room. And don’t forget to let us know how it went!